Here is the first edition of the Micah Update magazine from Micah Challenge Zambia. This edition introduces the Micah Challenge campaign and coalition in Zambia, as well as exploring what the Millennium Development Goals (MDGs) are and how we as Christians in Zambia can help to ensure they are met. What Can I Do? – How can you be a part of Micah Challenge in Zambia, and promote, explore, and act upon the message? Micah Sunday? – Resources for marking Micah Sunday at your church. Bible Study – Explore Isaiah 58 and what type of worship is acceptable to God using this Bible study. What is Advocacy? – What do we mean by ‘advocacy’, and why should Christians be involved in speaking out? The Millennium Development Goals – What are the MDGs and why are the important to Zambia? Help meet the MDGs – How can we help to meet the MDGs as churches through our actions? Micah Challenge Zambia will be officially launched at the beginning of August in Lusaka. On Friday 3rd August 150 representatives from denominations and organisations will attend a conference on the Micah Challenge campaign and coalition in Zambia – where a new Steering Committee will be selected. Representatives from church denominations, organisations and institutions are asked to register to attend this conference – to register complete this Registration Form. On the Saturday 4th August the Micah Challenge Zambia coalition and campaign will be officially launched. Everyone is invited to attend the launch, which will be held at the GO Centre (Mass Media Complex) in Lusaka from 09:00 to 12:00. Members of MCZ are encouraged to invite their congregations and members of their organisations to the launch. Micah Challenge Zambia has today issued a press release to mark the half time point to halving poverty. Saturday 7 July 2007 marks the half time point to halve poverty. In the year 2000, the government of Zambia and 188 other nations made a promise to halve poverty by 2015 through the Millennium Development Goals (MDGs). Micah Challenge Zambia (MCZ) is joining other members of the global Micah Challenge campaign to ‘blow the half-time’ whistle on Saturday, to remind world leaders and the Zambian government of the promises they made when agreeing the MDGs, and to call on Christians in Zambia to stand-up to call for the MDGs to be met. Lawrence Temfwe, the National Coordinator of MCZ, says:, “The eight MDGs which the 189 heads of state agreed to in 2000, are the most clear-cut and widely accepted set of development priorities the world has ever known that manifest the values of God’s kingdom of peace, righteousness, prosperity and justice. But Saturday (07/07/07) marks the half-way point towards the deadline of meeting the goals, and most of the MDGs are in danger of not being met in Zambia. 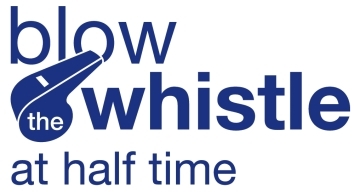 This Saturday we are blowing the half-time whistle to say ‘we need action now to halve poverty’”. Christians and churches in Zambia are encouraged to join the Micah Challenge Zambia coalition, which will be officially launched in August.